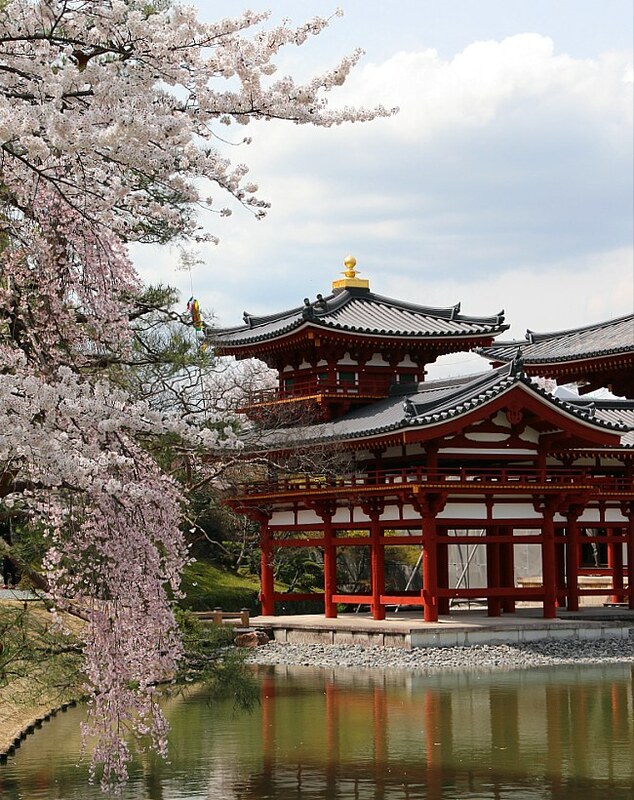 Most famous for Byodoin Temple, Uji is a city twenty train minutes south of Kyoto by JR Nara Line. 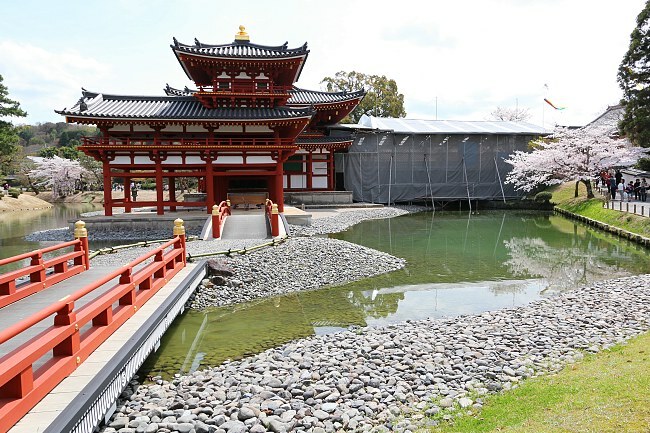 Today I visited Uji to check not only its cherry blossoms, but also the state of Byodoin's main hall which had been undergoing renovation works for a couple of years, but was freed from most of its scaffolding recently. 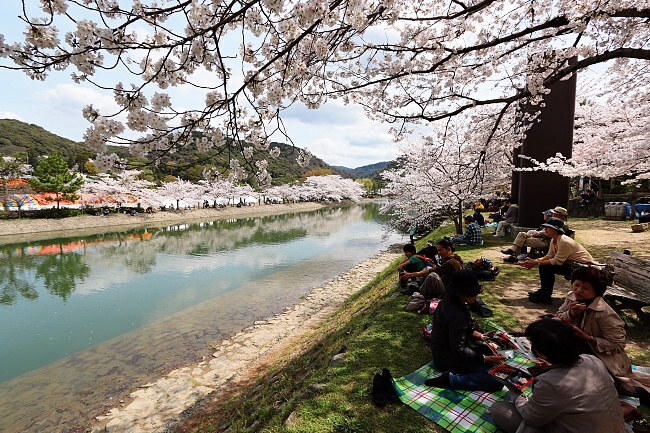 The best area for cherry blossom viewing (hanami) in Uji is along Uji River just outside Byodoin Temple, a ten minute walk from JR Uji Station or just outside Keihan Uji Station. 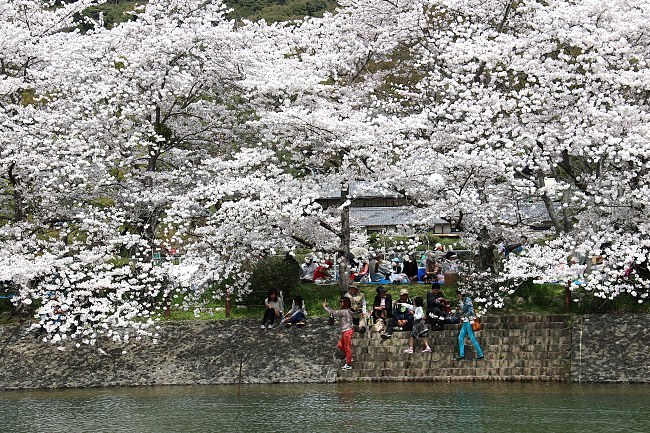 The trees were at full bloom today, attracting lots of visitors in combination with the nice weather. 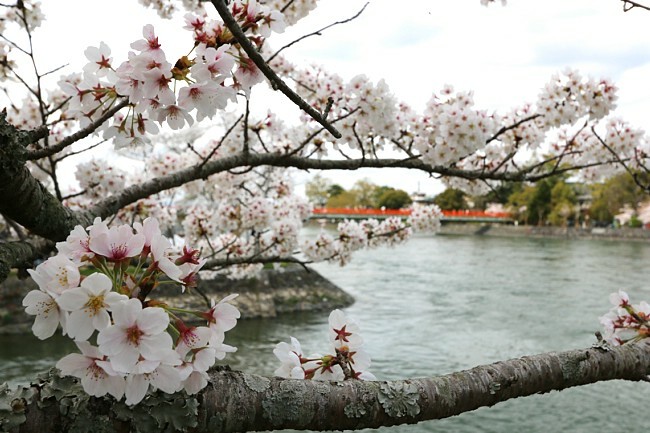 The blossoms looked still sturdy, and I am confident that enough of them will hang on through the upcoming weekend to provide nice hanami conditions along the river. 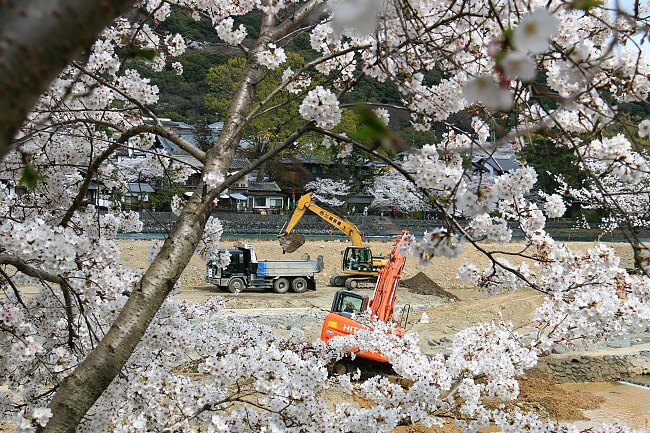 Note that some construction work is currently going on in the riverbed of Uji River with the purpose to protect the nearby World Heritage sites from flooding that the river has been prone to over the centuries. 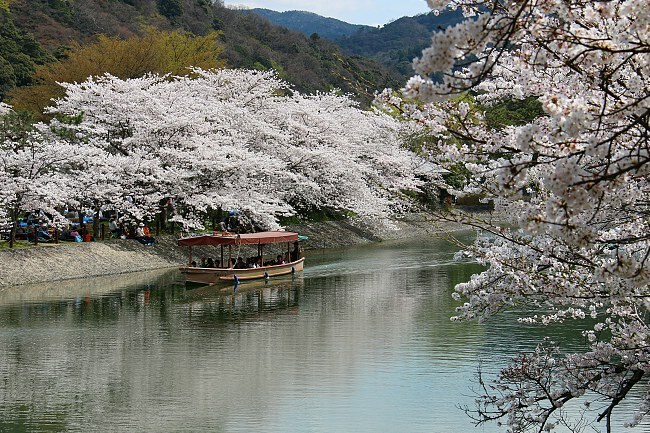 The construction negatively impacts the scenery along some sections of the river but is no reason to avoid Uji. 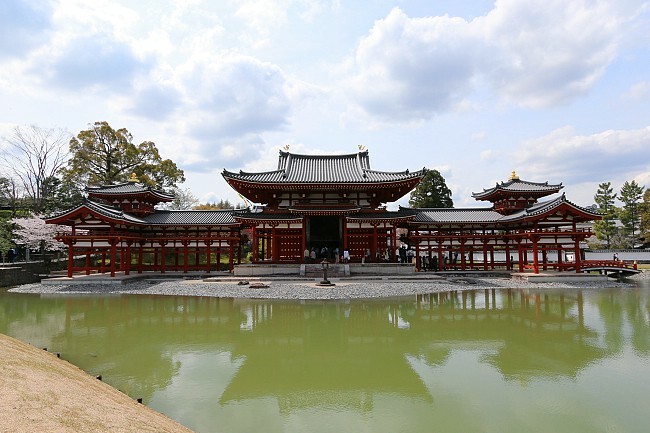 For two years, the main hall of Byodoin Temple, Uji's main attraction, has been covered up for renovations during which admission to the grounds was reduced to 300 yen. 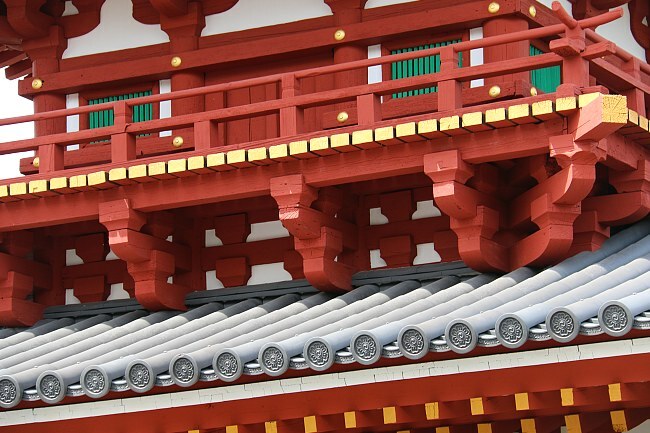 On April 1, the original admission fee of 600 yen was reinstated as the bulk of the renovation works have been completed, and most of the hall has been freed of its scaffolding. Only the back part of the main hall remains covered through September, but the scaffolding cannot be seen when the hall is viewed from the front. 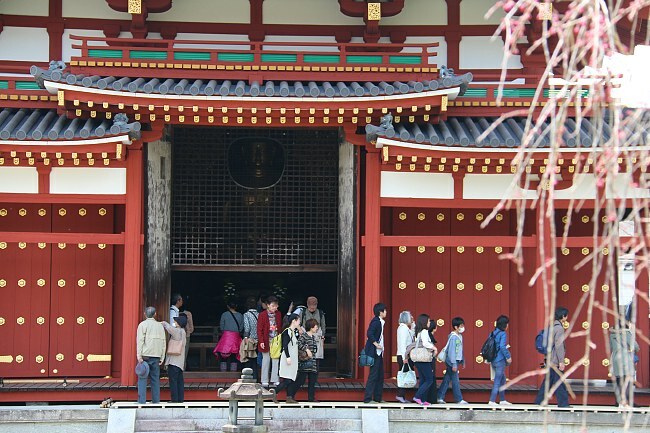 Starting today, it has also become possible to see the interior of the main hall on tours again (additional 300 yen applies); however, the tours were so popular that a two hour waiting time applied when I visited around noon. 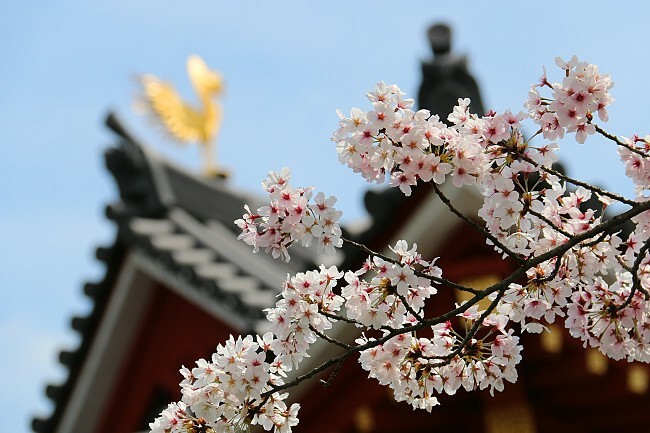 Byodoin is not a famed cherry blossom spot, but there are a few nice cherry trees here and there on the temple grounds. 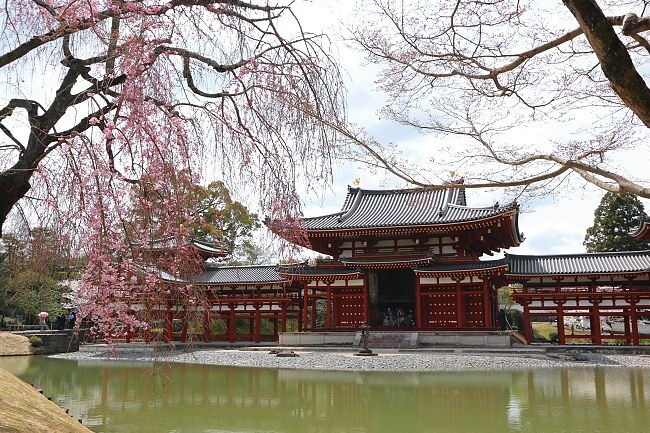 The Somei Yoshino trees were at full bloom today while one nicely placed, later blooming weeping cherry tree in front of the main hall has only just started to open and should reach full bloom by the weekend.